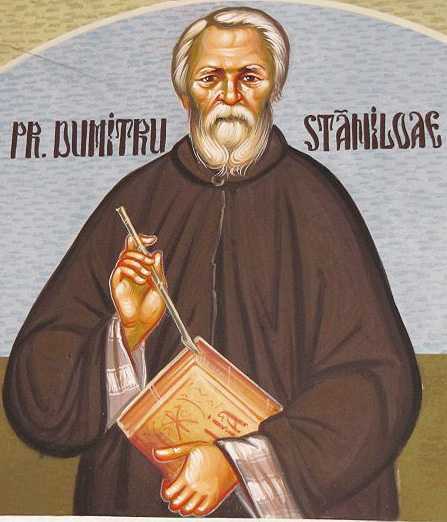 Dumitru Stăniloae (1903-1993) was a remarkable Romanian Orthodox priest and theologian, who led a renaissance of Orthodoxy in his country with his multi-volume Dogmatic Theology, his translation into Romanian of the Philokalia, and his scholarly work on St. Maximus the Theologian. His Dogmatic Theology has been translated into several languages, including English, and his commentaries on St. Maximus have been translated into Greek. I had the immense spiritual benefit of sharing some time with him when he visited St. Vladimir’s Orthodox Seminary in Dec. 1982, when I was a student there. Every year the Feast of the Universal Exaltation of the Holy Cross (Sept. 14th) reveals new dimensions of God’s love. Here are some short excerpts from the conclusion of a talk Fr. 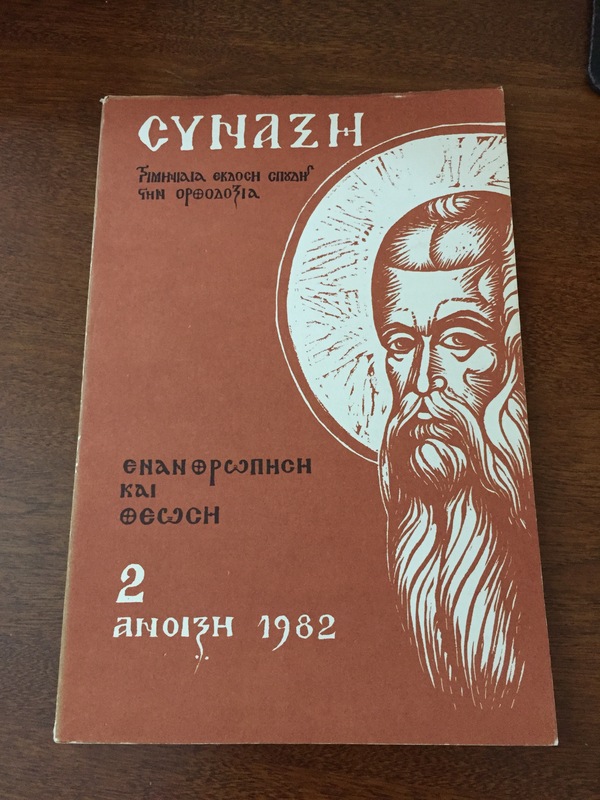 Stăniloae gave to a group of nuns in England in 1970. He speaks of the Cross in a unique way worthy of this great feast of the Church. Persons reveal their love for one another by their gifts, and this is also true in God’s relationship with men. In this sense we cannot think of the cross without the world as God’s gift. But on the other side we cannot think of the world without the cross. The cross makes this world transparent for God…. Without the cross man would be in danger of considering this world as the ultimate reality. Without the cross he would no longer see the world as God’s gift. Without the cross the Son of God incarnate would have simply confirmed the image of the world as it is now as the final reality, and strictly speaking he could have been neither God nor God incarnate. The cross completes the fragmentary meaning of this world which has meaning when it is seen as a gift which has its value, but only a relative and not an absolute value. The cross reveals the destiny of the world as it is drawn towards its transfiguration in God by Christ. For this reason at the end of this stage of the world this sign, ‘the sign of the Son of Man’, will be revealed in the heavens above all the world, as a light, as a meaning, as a destiny which illumines the whole history of man (cf. Matthew 24:30). Thus the cross is the sign and the means of the salvation of the world… One cannot conceive of a world which is not saved, a world which would always remain in suffering, enclosed in itself, a world in which the cross would not fully fulfil the destiny of the world. Suffering would have no meaning at all unless it was leading the world towards its salvation in God… In the kingdom of God the world has been transfigured by the cross through which God himself is finally revealed and glorified. Categories: Theology | Tags: Dumitru Stăniloae, the Cross, the world as gift | Permalink. Fr. Sophrony Sakharov, a highly esteemed Russian monk who died in 1993 at his monastery in England, used to say, ‘To be a Christian, one must be like an artist.’ Just as artists are captivated by the subjects they paint and by the desire to portray them as perfectly as possible, so too the Christian is captivated by Christ and by a desire to attain to His endless perfection. ‘I press on to make it my own, because Christ Jesus has made me His own’ (Philippians 3:12). The Christian life is meant to be a masterpiece of sublime art because God is an artist. And God’s masterpiece is the product of his love. God’s love is infinite and glorious, a mystery beyond human comprehension. It is the mystery of the Holy Trinity. “God sent his only Son into the world so that we might live through him” (1 John 4:9). The Son gave himself “for our sins, that he might deliver us from this present evil world, according to the will of God and our Father” (Galatians 1:4). And the Holy Spirit also offers himself, in order to “guide you into all the truth” (John 16:13) of the fullness of God’s love. Επεθύμησε πόρνης, John Chrysostom said in one of his sermons. God desired a harlot. God desired a humanity that had gone astray, that had sold itself to sinful, self-serving, self-pleasing behavior. But he did not send a servant, or an angel or archangel, not the cherubim or the seraphim. He himself came as a lover. God desired a harlot. And what did he do? Chrysostom asks. He continues (in my translation). Because she could not rise to the heights, he came down to the low depths. He comes to her hut. He sees her drunk. And how does he come? Not with divinity shining, but he comes as she is – so as not to terrify her and cause her to run away. He finds her wounded, wild and unkempt. And what does he do? He takes her as wife. And what does he give her? A ring. What ring? The Holy Spirit! He tells her: Didn’t I plant you in Paradise? How did you fall out from there? The devil came and took me out of paradise. So you were planted in paradise and he took you out. Here, I will plant you in me. No one dares approach me. I the shepherd hold you and the wolf does not come. But I am sinful and dirty. Don’t worry, I am a doctor. Throughout this imagery, Chrysostom uses the word eros, not agape! So God is ο ερών, ο ερωτευμένος in modern Greek, the lover. Chrysostom does not use the New Testament word agape because he really wants to speak the language of human love and human passion. Chrysostom’s God is not the dispassionate god of Aristotle and the Greek philosophers. Chrysostom has no use for classical Greek ideas and images. He was steeped in biblical language – and in the Bible, especially the Old Testament, God is passionate; God is a passionate lover. God is intoxicated with love for humanity. 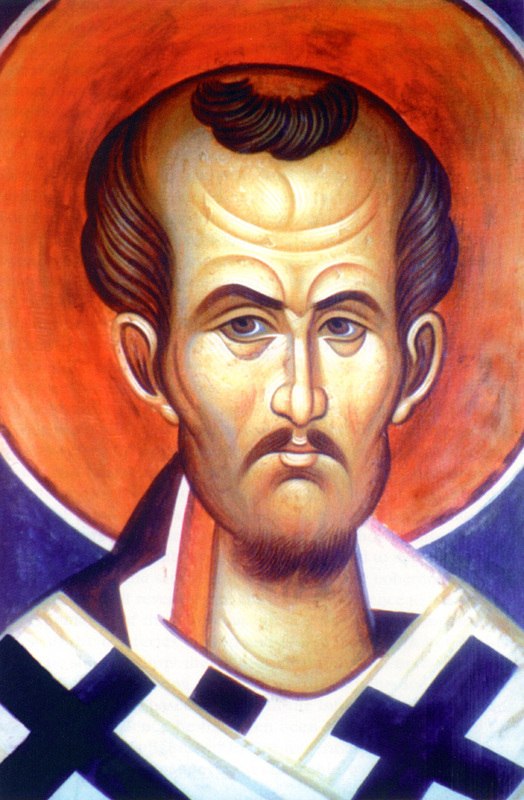 That kind of love does not see ugliness, Chrysostom says. The lover doesn’t care much about his behavior or what others will say – ουκ εξετάζει τρόπον: he doesn’t calculate how he is to behave. This is what Christ did: He saw the ugliness of humanity, he loved us – and he renews us. Ώ νυμφίου καλλωπίζοντος αμορφίαν νύμφης! Oh, Bridegroom, you make beautiful the ugliness of the bride! Ugliness is such a terrible English word, and it doesn’t capture the Greek αμορφία – which literally means lacking form, μορφή; so αμορφία is formlessness, formless chaos (as in Genesis 1:2), unshapeliness. So human nature is not so much ugly in the conventional sense, but lacking form, lacking order, lacking the beauty that God originally meant – waiting to be recreated and renewed as the universe was waiting for God’s ordering Word in the beginning of Genesis. Chrysostom captured the meaning of our Gospel reading today – “God so loved the world…” – in this little parable that I came across when looking through an old theological magazine from 1982 – issue no. 2 of Σύναξη, Τριμηνιαία έκδοση σπουδής στην Ορθοδοξία, a magazine still published in Greece every three months, now in its 35th year. Categories: Sermons | Tags: God's love, John Chrysostom | Permalink. Susan Holman is a researcher and writer at Harvard University. She has published several books about the early church. 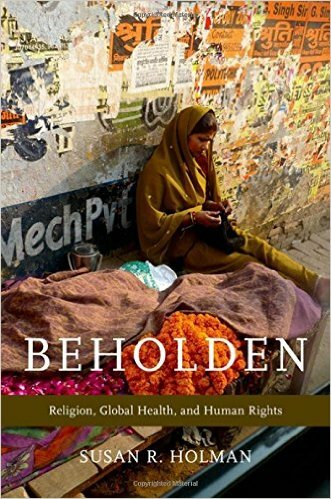 Her most recent book is titled Beholden: Religion, Global Health, and Human Rights, published by Oxford University Press. In the beginning of her book she talks about the death of her father in 2009 and her efforts to clear the house. In doing so she discovered an old book, over 200 years old. The full title of the book was: Medical Inquiries and Observations. To which is added an Appendix, Containing Observations on the Duties of a Physician, and the Methods of Improving Medicine. By Benjamin Rush, MD Professor of Chemistry in the University of Pennsylvania. The Second Edition. 1789. She did some research and found this Dr. Rush was quite an impressive man, a leading physician in early American medicine. He was one of the first American advocates for universal health care, prison reform, the abolition of slavery and capital punishment, equal education for girls and boys, and he especially pushed for respect and dignity in treating those who suffered form mental illness. He founded the first free dispensary in America, and he was one of the men who signed the Declaration of Independence. 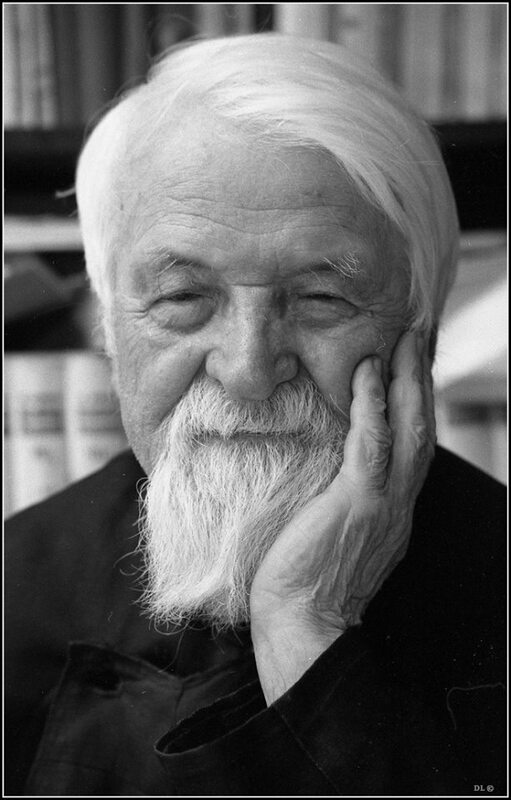 He was a Christian and was a member of several churches simultaneously, “so that he might visit the nearest one should he desire communion with his Maker during rounds.” He described his faith as “a compound of the orthodoxy and heterodoxy of most of our Christian churches.” That could very well describe most or all of us! When we read the Parable of the Good Samaritan – and we will read it again on Nov. 13th – we hardly pay any attention to the innkeeper. And yet, it’s the innkeeper that Rush advised his students to imitate. Perhaps because they will get paid for their labor in healing the sick. But I draw a different lesson from Dr. Rush’s advice. Many times we read the Gospels and find it hard to relate to most of the people in the incidents and parables. Most of us find it impossible to imitate the Good Samaritan and are scared to even think of doing it. But perhaps we could be like the innkeeper – do what we are paid to do, but do it honestly and with full care for the humanity of others. In today’s parable, who can you relate to? Perhaps none of us will ever have such a huge debt or sin that needs forgiving. I hope none of us will ever have such an unforgiving heart as the unforgiving servant. And I doubt that any of us will ever be in a position of power like that of the Master. Perhaps some of us have been victims to an unforgiving person. How perhaps we should relate to the witnesses, who were shocked and “distressed” at the hypocrisy and inhumanity of the unforgiving servant. How many of us are shocked at other people’s inhumanity, at other people’s racism, at other people’s obscenities or reckless behavior, or other people’s hypocrisy? That could be all that many of us can take from today’s parable, and it would be enough: To be shocked, to speak up, to do something about a wrong that we witness. Perhaps if more of us did that there would be less violence and hatred in the world. Don’t look for the impossible. In every parable of Jesus, in every miracle story or incident in the life of Jesus. Look for what you can take home, what you can imitate. Sometimes it could be what the bystanders do or what the least prominent character does. To each of us according to our abilities does God place expectations. Categories: Sermons | Tags: parables of Jesus | Permalink.